Fretting Hammer Spare Face. 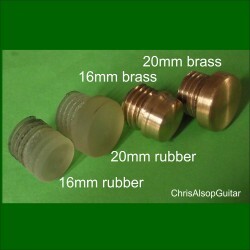 16mm or 20mm. Brass or hard Rubber. Designed and manufactured by Chris Alsop. This is a spare face for the fretting hammer I produce and sell. 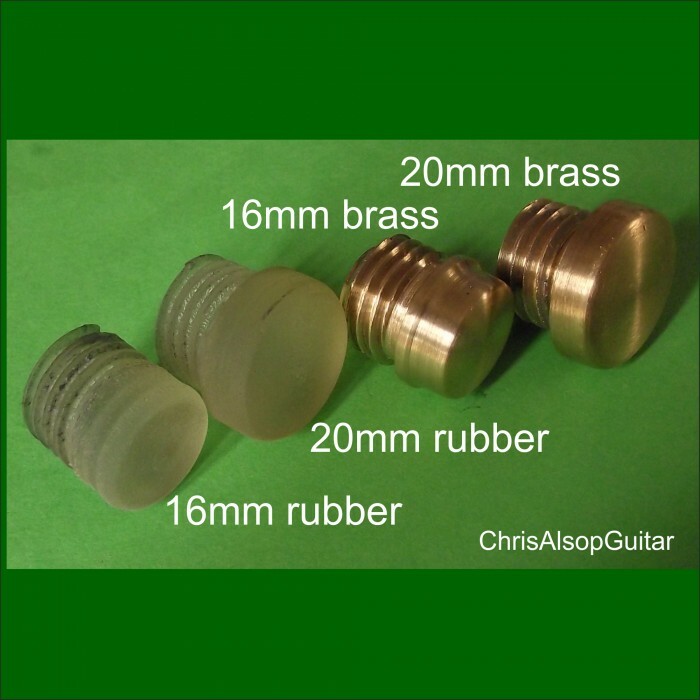 The hard rubber faces allow a gentler impulse over a wider area than the brass face , which allows an accurate relatively high impulse to be delivered "to a small area of the fret. 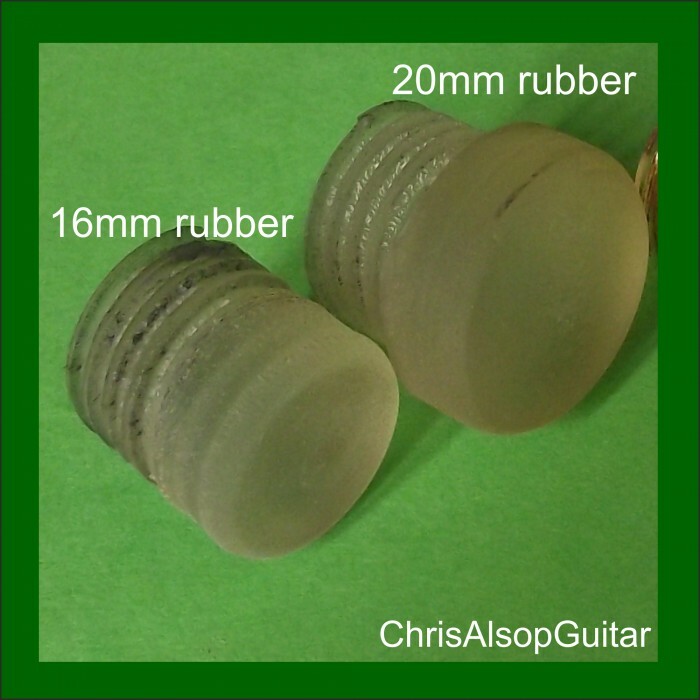 The 20mm is ideal for the low fret and the 16mm benefits getting between frets at the high fret end. 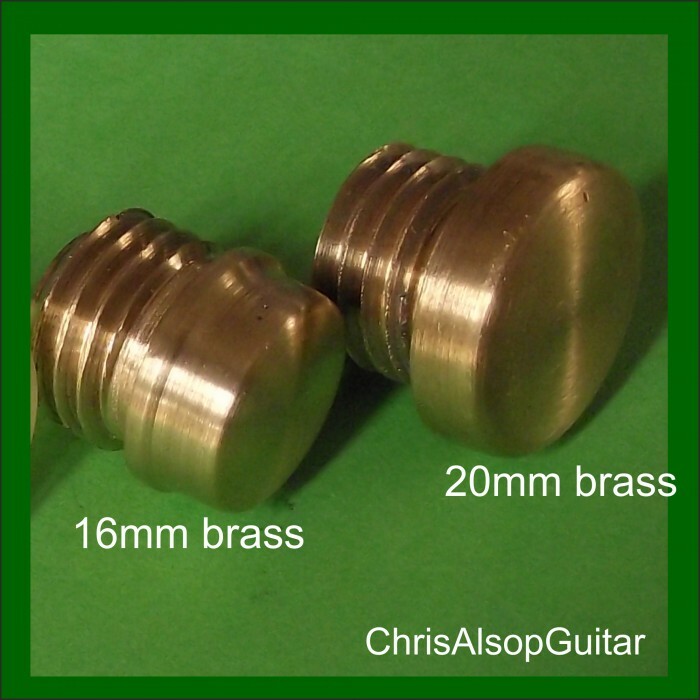 Any combination of fret hammer faces can be used and the hammer still remains well balanced.